ATTENTION MUSIC LOVERS! New titles from Omnibus Press and French rights are still available. 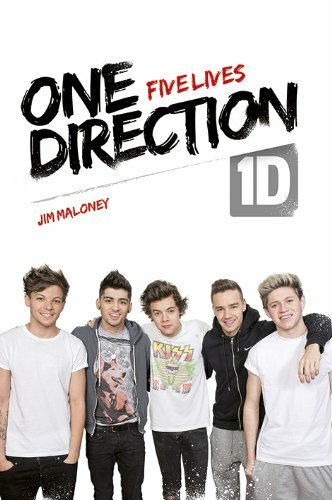 On 14 October, Omnibus Press will publish One Direction: Five Lives, an intimate book of the lives of One Direction band members, Harry, Liam, Niall, Louis and Zayn. Just three years ago Harry Styles, Louis Tomlinson, Niall Horan, Liam Payne and Zayn Malik had never met each other. As solo singers trying their luck on The X-Factor in 2010 they looked to be on their way out until Simon Cowell put them together to form the band, One Direction. They finished third in the Final but it was just the beginning. Today, they are one of the biggest and most profitable bands in the world. Their debut album topped the charts in fifteen countries and they were the first UK group in history to enter at number one in the US with a debut album. Successive singles have been No 1 around the world. And in sell-out tours in the UK, Australasia and America they have been greeted by hordes of screaming fans reminiscent of the early Beatles. Their debut album Up All Night topped the charts in both the UK and the USA – something even The Beatles never achieved. Harry, Liam, Niall, Louis and Zayn rocketed to global stardom, triggering hysteria among female fans wherever they went. This first full, no-holds-barred account of their lives examines their backgrounds to discover how each of these seemingly ordinary boys developed into such extraordinary international stars.It takes an in-depth look at their early lives, their relationships with their families, schooldays, first public performances, romances, the life-changing X-Factor, their relationship with each other, the fun and the frustration of working so closely together, their wild fans and world-wide acclaim with over five million Facebook fans and three million followers on Twitter. Tickets for One Direction’s concert in June 2014 in the Stade de France sold out within ten minutes, and the promoters had to add an extra date. Behind The Locked Door is a rich, insightful account of George Harrison’s extraordinary life and career. As a Beatle, Harrison underwent a bewilderingly compressed early adulthood, buffeted by unprecedented levels of fame and success. “Beatlemania” offered remarkable experiences and opportunities but ultimately left him unsettled and unfulfilled. His life became a quest for deeper meaning which travelled far beyond the parameters of his former band and, indeed, music itself. This elegant, in-depth biography tracks him assiduously through his many changes and conflicts, from schoolboy guitarist to global superstar, God-seeker to independent filmmaker, Formula One enthusiast to UNICEF fundraiser, and marks the perennial struggle of a man attempting to walk a spiritual path lined with temptation. Drawing on scores of new interviews with close friends and collaborators, rigorous research and critical insight, Behind The Locked Door is a fascinating account of the motives and varied achievements of an often-misunderstood man. It offers full analysis of Harrison’s music, including his earliest songs for The Beatles, his landmark solo album All Things Must Pass, his work with The Traveling Wilburys, and the posthumous Brainwashed, as well as his pioneering forays into Indian and electronic music. It is also an intimate character study, beautifully illustrating the eternal yin and yang of Harrison’s nature. 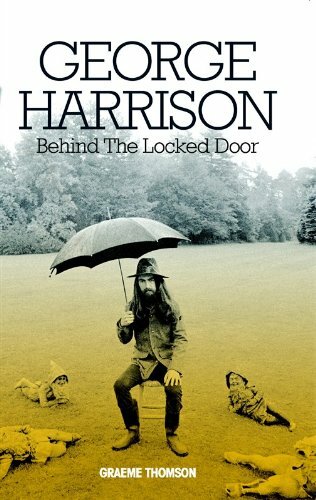 Behind The Locked Door is the definitive account of a compelling, contradictory life, published to co-incide with what would have been the 70th anniversary of George Harrison’s birth. 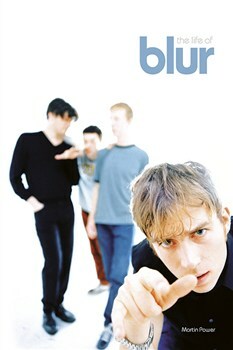 Blur defined the term ‘Britpop’, providing a soundtrack for the Nineties “Cool Britannia” movement. Racking up hit upon hit, the Essex quartet – led by Damon Albarn – became a permanent fixture on the charts, ultimately leading to an ugly confrontation with their Northern counterparts, Oasis, in the race to become the UK’s premier band. Yet, when the flames of Britpop ultimately cooled, Blur proved capable of surprising reinvention, embracing new sounds and textures to keep themselves one step ahead of a pop scene they helped invent. More than twenty years later, they continue to do so. The Life of Blur explores the history and debunks the myths around the band formerly known as Seymour: from their art school origins at London’s Goldsmith College to the multi-million selling success of Modern Life Is Rubbish, Parklife and The Great Escape. It delves into every detail of Blur’s pock-marked history, also shedding new light on the group’s various solo activities, including Damon Albarn’s experiments with Gorillaz and Graham Coxon’s one man assault on the indie charts. Featuring new interviews with Blur’s collaborators, Britpop rivals and friends, as well as rare photographs and a full up-to-date discography, this is the definitive biography of one of the UK’s most beloved bands. The Ghosts Of A Whiter Shade of Pale is a chronological account of Procol Harum. Celebrity fans range from Led Zeppelin’s Jimmy Page and Cream’s Pete Brown to Elton John and Pete Townshend. 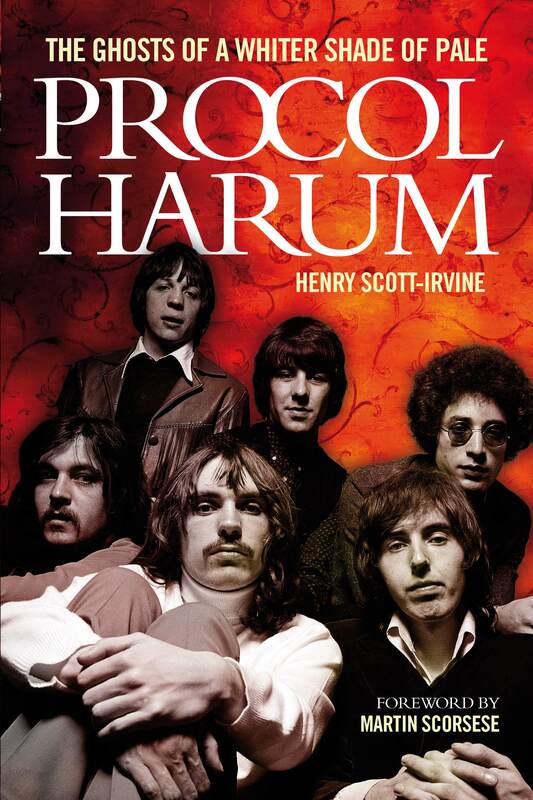 Martin Scorsese wrote the foreward, in which he describes his love of Procol Harum and their great lyrics. The introduction is by Sir Alan Parker and the afterword by award winning author, journalist, and screenwriter Sebastian Faulks. Procol are currently on tour over forty years later. 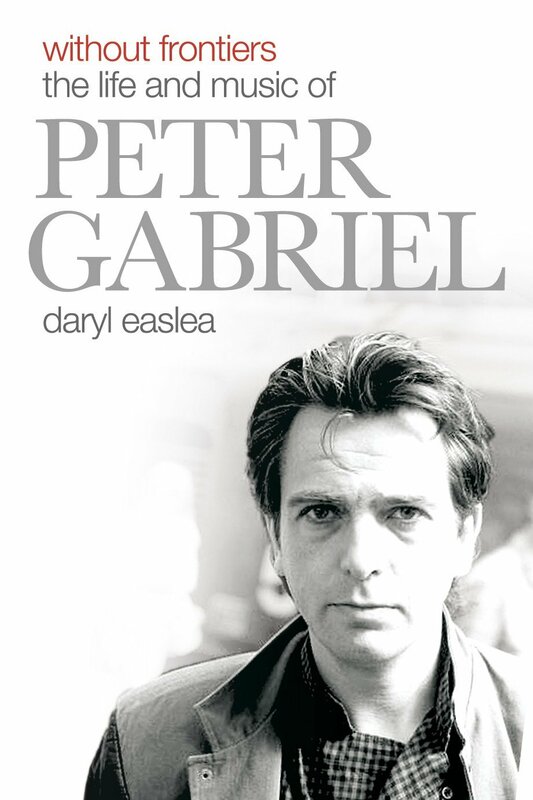 He became famous with Genesis but simply to call Peter Gabriel a pop star would be to sell him very short indeed. A quintessential Englishman, he has since pursued several overlapping careers, bringing to each of them his trademark preoccupation with quality control and restless curiosity. In 1975, after leaving the band that made him famous, he diversified into writing movie soundtracks, various audio-visual ventures, tireless charity work and supporting major peace initiatives. He also became world music’s most illustrious champion, launching the WOMAD festival and recording solo albums that featured musicians from every corner of the globe. Gabriel, his music and his complex life. The result is an extraordinary biography of an extraordinary man. Rock and Roll Hall of Fame as a member of Genesis in 2010. 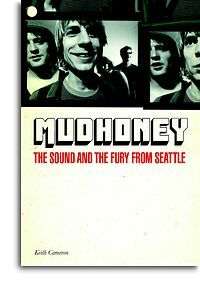 Mudhoney: The Sound And The Fury From Seattle is told by Mudhoney themselves and is an unconventional tale of rock heroism about a band that missed out on super-stardom but kept control of the music. They have triumphantly outlived their more famous disciples, such as Nirvana and Pearl Jam. Formed in early 1988, Mudhoney originally comprised Mark Arm, Matt Lukin, Dan Peters and Steve Turner. Their debut single, Touch Me I’m Sick, was the catalytic force behind Nirvana and Pearl Jam who took grunge global. Mudhoney’s would have been another story of half-forgotten pioneers paving the way for the others who grabbed the prize, except they not only survived the classic rock band excesses, but they also continued to produce great music and, bolstered by new member Guy Maddison, celebrated their quarter-century with a superb 2013 album, Vanishing Point. Next Post OREGON HILL wins the 2013 Hammett Prize!